Although drivers never intend to be involved in an auto accident, the reality is most drivers will experience at least one collision in their lifetime. Anyone who has experienced a car crash can attest that there are many emotions and ordeals to go through before the case is completely settled. Our Raleigh personal injury attorneys have helped hundreds of clients to achieve fair and just compensation from auto accidents through the years. Here our legal team has provided an overview of the information you should know after having a car accident. 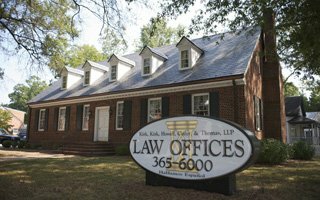 What to Do After a Raleigh Traffic Accident? Seek Medical Treatment – Immediately! Seek medical treatment! This is the FIRST thing we recommend. Granted, many people don’t feel as if they have injuries following a minor fender bender, but later that day or week they begin to feel soreness and injuries. Hairline fractures and concussions that weren’t evident at the time of the accident can become serious injuries needing treatment. Also, waiting to seek treatment can be detrimental to your claim for recovery of damages. Delay in treatment is commonly argued as a reason to reduce the amount offered for a personal injury claim. Report your accident immediately to both yours and the other driver’s insurance carrier. Avoid giving statements about the accident. Only provide the most basic information. Once your claim is set up with the other driver’s insurance carrier, and adjuster will be assigned to your case. We recommend speaking to an experienced Raleigh car crash injury attorney before speaking to an adjuster or signing any waiver. An interaction with an insurance agent could negatively affect your case. Take pictures of all the vehicles (bicycles, trucks, motorcycles, etc.) 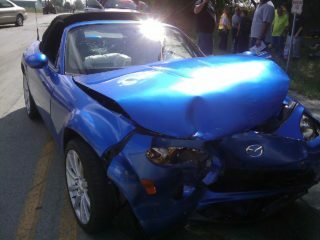 in the crash, especially the damage. If you can do so safely, take pictures of the location and position of the vehicles in the roadway. Debris on the road – broken glass, car parts, leaking oil/gas. Weather conditions, road conditions, skid marks, damaged property etc. Visible injuries to you or anyone involved (may require permission from the affected party). Seek a copy of the police report if an officer responded to your crash. Who is at fault? This is an extremely important aspect of your auto accident case. North Carolina law dictates that if the plaintiff is even marginally responsible in causing an accident, then the plaintiff may lose their chances of recovery. This is called Contributory Negligence. Fault or liability means determining if the driver was driving in a manner that was not reasonable or violated safety laws. Often, in rear-end, running a stop sign, or texting and driving, the cases are cut and dried about who is at fault. Other cases may require the testimony from an expert witness to help the court determine liability. Medical expenses. Be sure to account for current and future medical expenses. Lost wages. Time out of work to recover from an accident can be calculated into your settlement. Consider your pain and suffering. Any physical or mental duress can impact your case. North Carolina motorists carry 4 types of auto insurance to cover personal injury and damages. Medical Payments Coverage. This coverage assists payment for medical expenses related to the collision, regardless of fault. Automobile liability coverage. If you are injured by another party’s negligence, this coverage is your primary source of recovery. North Carolina law requires that all drivers carry a minimum of $30,000 in liability coverage. Underinsured (UIM) motorist coverage. While not mandatory, this coverage can be found in your own policy of insurance, and is available to you if the liability coverage of the other driver is insufficient to cover your damages. Uninsured (UM) motorist coverage. UM coverage is found in your own policy and is used in a case where another motorist lacks coverage and hit and run accidents. North Carolina law has a statute of limitations regarding car accidents and wrongful death claims. Don’t wait or you could lose the opportunity to seek compensation for your collision. If you have been involved in car crash, our Raleigh personal injury team has the experience you need to help you recover from your accident. Call us at (919) 615-2473 or complete the online contact form below to speak with a Raleigh car accident attorney.